This week’s video is another full-length television episode. It’s “Quaker Girl,” the second of two episodes of Gunsmoke in which Timothy appears. It first aired on December 10, 1966. He is suitably menacing as Charles “Buster” Rilla, the part-Native American tracker to a couple of (literally) gold-digging bad guys. Directed by the legendary Bernard L. Kowalski, and co-starring William Shatner and Ben Johnson, “Quaker Girl” is a serviceable example of the 20-season series’ middle years. Enjoy! Today’s pic takes another look at “Quaker Girl,” the second of two episodes of Gunsmoke in which Timothy appears. It was first broadcast on December 10, 1966. 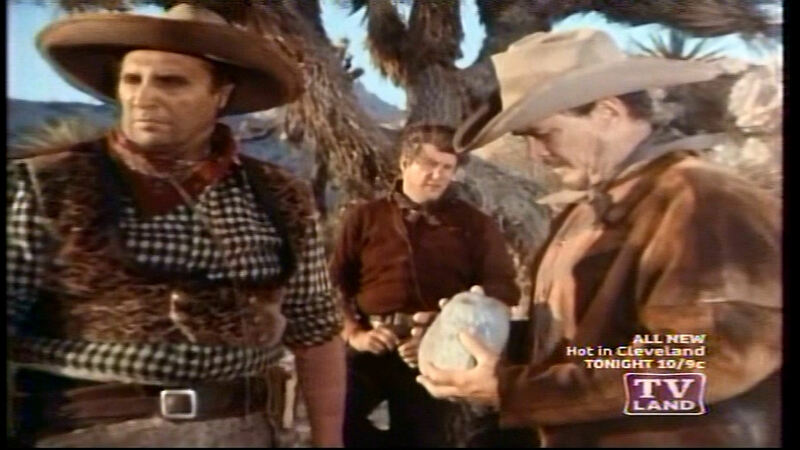 Opportunistic bad guys Dave Westerfeldt (Tom Reese) and Vern Morland (Ben Johnson) rely on their part-Indian tracker “Buster” Rilla to help them nab a killer. Johnson and Timothy had previously both appeared in Marlon Brando‘s One-Eyed Jacks (1961), though not on-screen together. Johnson was certainly one of the greatest Western stars who ever lived. If he seemed like an authentic cowboy on-screen, that’s because he was one off-screen as well. He was ever at home in the saddle, having been discovered in 1940 in his home state of Oklahoma by Howard Hughes while he was a rodeo rider and ranch hand. Hughes hired him to run a herd of horses to California, Johnson ended up sticking around, and his Hollywood career began. He returned briefly to rodeo riding in 1953, but the pay in Hollywood was a lot better, so back he went. His father, Ben Johnson Sr., was also a champion steer roper and a legend in the rodeo world. 09/13/2012: Looks like another one lost to copyright issues. Sorry about that! 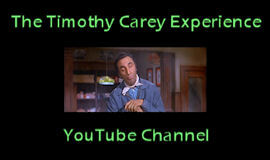 Our video for this week is another full-length television episode! It’s the Gunsmoke episode “Quaker Girl,” first aired on December 10, 1966 and directed by Bernard Kowalski. This one is star-studded indeed – in addition to Tim, we get Ben Johnson and William Shatner as well! This particular episode isn’t out on DVD yet, so it’s a treat to be able to see it here. Enjoy, won’t we? 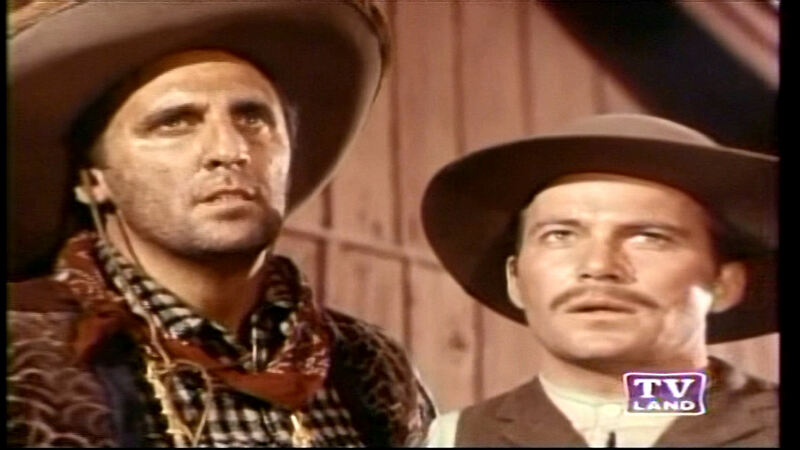 Our pic for today is from the second of the two episodes of Gunsmoke that Tim appeared in. This one is “Quaker Girl,” first broadcast on December 10, 1966 and directed by Bernard Kowalski. Tim is “Buster” Rilla, Ben Johnson‘s muscle man, doing what he does best – pushing people around, including a fellow named William Shatner. There they are – two of the biggest hams who ever lived, God love ’em. Many thanks to Paula Vitaris over at the Ben Johnson Screencaps Page for the screen cap!